E42 is CDE’s most deeply impactful experience. This multi-month program builds a close-knit cohort of peers and colleagues who support and challenge each other through a uniquely transformative learning process. Members of the cohort are diversity change agents who are committed to catalyzing real change in their spheres of influence. They are the ambassadors of a new paradigm in the future of the environmental movement, ensuring the evolution of a more diverse, equitable, inclusive and thereby relevant movement. This is a multi-month program with two in-session retreats, which exemplify a diverse, inclusive culture, and demonstrate how environmental institutions will need to operate to thrive in the 21st century. As we approach the 2042 turning point when over 50% of the people in the US will be people of color, it becomes increasingly critical that we address the diversity crisis at the heart of the environmental movement. 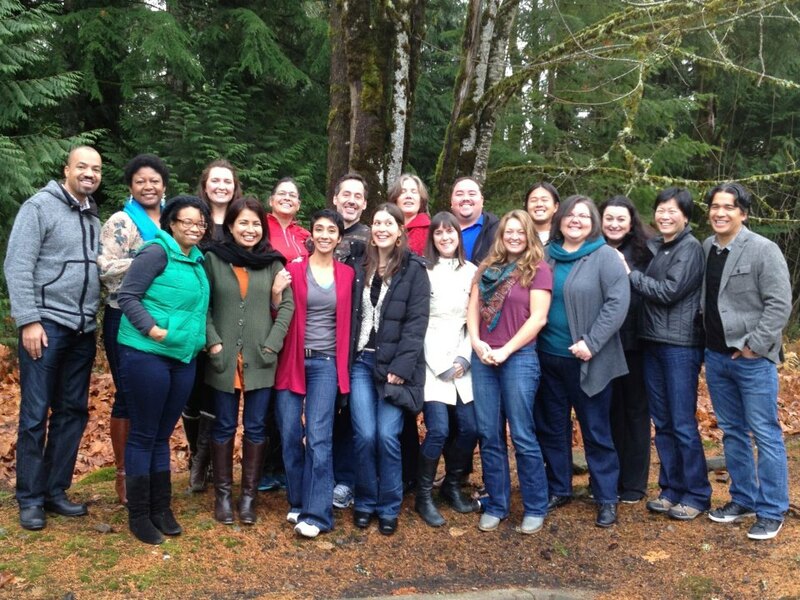 Each twenty-person retreat cohort is comprised of roughly half People of Color and half Caucasians. The program curriculum includes racial equity training, relationship and community building, and also provides skills and tools to develop action-based solutions at the movement-wide, organizational, and individual levels. Each participant develops an action plan and leaves with tools to create inclusive and diverse workplaces.